While everyone is busy debating the merits of health care reform, the prospects of 'economic recovery', and the stock market rally, it seems that no one is watching the real action. Our fate does not lie in the thin air of a stock market rally built on hope and, well, lies. Nor does our fate lie in the fields fertilized by government manure sprouting supposed 'green shoots' of economic recovery. Stock rallies can turn to nightmares in a hurry and manure has to fertilize a seed - not just more manure. Government legislated and imposed health care is nothing more than another tax for a service provided by Uncle Sam. For the folks that can't afford health care insurance premiums, they have to be loving an administration that is trying to make them an outlaw for being poor. Just wait until a few million citizens get a bill for that which they cannot afford right now. Just wait until the rest of the population gets the bill for the premiums that the growing class of poor people in the US can't pay. There are only three things that are sure in life - death, taxes, and idiots will always run governments. The ultimate bill for the government spenders who don't realize that revenue production has been permanently crippled by bureaucratic intellectual de-evolution will serve to drown a free society in shackles of cognitive ineptitude only possible from the likes of the Pelosi's and Reid's and Waxman's of the world. These Neanderthalic thinkers don't realize that they are suggesting the process of extinction to a society that can't afford the cost of insurance - much less the cost of insurance plus interest as it will have to be borrowed. Unfortunately, that same society has been dumbed down by an educational system and a media that can't deal with truth because truth offends some people. That same society is now enamored with the prospect of gaining some of their lost investments in the current rally. It cares not at what price the rally eventually tallies. The central bank that now controls the US knows this. They give us a rally and we are pacified. I have postulated that ignorance and stupidity are now skills that a modern investor must master. For instance, reading a piece like this will render an investor less apt to turn a profit for a week or so until the babbling media washes intelligence from the brain and replaces it with rally gibberish. As evidence, the Harvard Endowment has reported a 27% loss for their fiscal year ending in June of '09. They have beaten the dickens out of the market over the years to amass a portfolio of well over $20 billion dollars. This is their worst performance in 4 decades, they say. What's their problem? They're probably too smart. They know too much. They know the house of cards is about to be subjected to an earthquake. They have taken the appropriate strategies to defend their portfolio. Oops! This market is for dummies that don't know anything and never make adjustments. The Federal Reserve is over-powering everything with their PPT actions and their credit production machine we call derivatives. Everybody thinks the Fed is busy printing money every day. 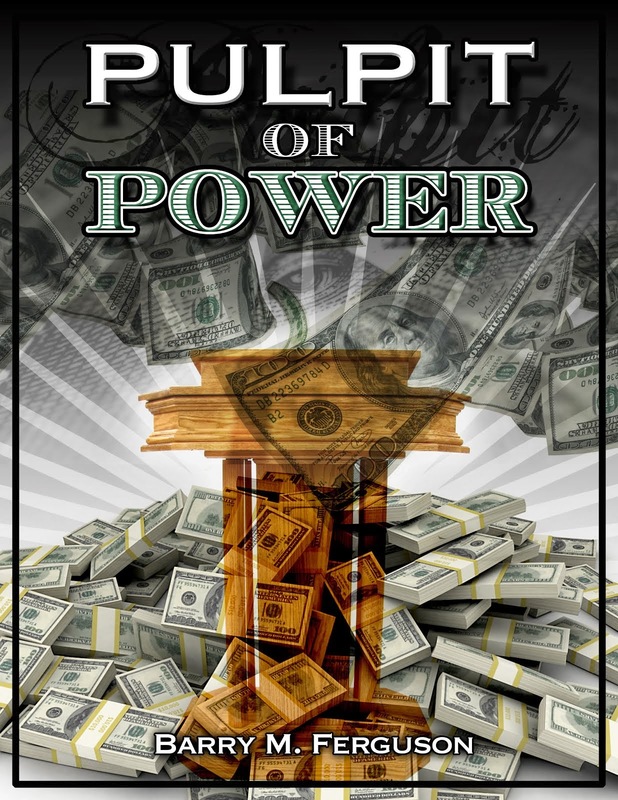 Only a few percent or so of all the money created is physical money. The rest is manifested in the credit creation process. When any institution deals with credit, it must have some mechanism to deal with the associated risk. Enter derivatives and credit default swaps. This is supposedly a world that exceeds a quadrillion dollars in notional value. Now, to make a long story short, much of this business is underpinned by an asset like US Treasury bonds. They are leveraged and margined out the wazoo so that everyone thinks they are covered like they have some kind of insurance. As we found out last year, the only insurance anybody has is that the central banks of the world stand ready to print and or created enough money to to make Bill Gates look like a pauper. What does this do? Creating huge sums of money with the click of a mouse serves to disrupt currency valuations that are important to institutions and governments that hold large portfolios of debt. Currency valuations cause interest coupons on said debt to vary more than the debt holders would like and they thus turn to derivatives and swaps for stability and insurance. These derivatives and swaps are created from bonds, to a large degree, and therefore inject undue and artificial demand in the marketplace for bonds. So, oddly, and perversely, creating money from thin air so that central bankers enjoy nice bonuses for being idiots and running their institution into the ground serves to lower interest rates via increased bond purchases. So here we are. This is the real action. It is the bond market. 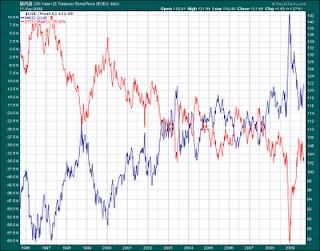 The chart below shows the US Treasury 30-year bond in blue and the corresponding yield in red over the last 14 years. You can see that there was an enormous spike at the beginning of 2009 but that was in response to the realization that the economies of the world had imploded. Again, I won't debate the silliness of 'economic recovery' because it distracts the observer from the real story. The trend lines are easy. US Treasuries are appreciating and yields are dropping. What does this tell us? It tells us that the US bond yields will eventually drop to zero. That alone is reason to buy bonds now. The problem is the culprit driving yields to zero is a devaluing dollar courtesy of the Fed monetary creation. Think about it. Zero percent interest means the Fed can then literally print off whatever amount it needs to retire its issued debt. The money is then worthless. Zero interest means that no one can make money on borrowed money and therefore has no use for the process any longer. If money is worthless, what would the Fed want in return of all the money that it has lent us? Yes, at that point, they take your house, your car, your gold, and they charge you rent just like slave owners used to. Oh, did you see that gold went over $1,000.00 dollars per ounce this week? I wonder why? The idiots in charge have created so much money that it is quickly becoming worthless. So is everything denominated in that currency including stocks. When the rally ends, don't be the last one on the dance floor. Come close. I need to whisper something to you. 'It's all a scam'. I'll let you get back to your thoughts on important stuff like health care taxes. Uh, I mean health care 'reform'.